Dr. Jerry Withers & Dr. Elizabeth Rybicki are licensed veterinarians, treating cats & dogs. Your pet's health and well being is very important to us and we will take every step to give your pet the best possible care. Eola Point Animal Hospital is a full service animal hospital serving Aurora as well as nearby Naperville, North Aurora, Lisle, Batavia, Oswego and Yorkville. Our goal is to provide your pet with high quality, individualized care. Dr. Withers and Dr. Rybicki are experienced in all types of conditions and treatments. In addition to first rate pet care, we strive to make our clinic comfortable and kid-friendly, in a calm environment so your pet can relax in the waiting room and look forward to meeting his or her veterinarian. We have a number of resources for you to learn about how to take better care of your pets. Browse around and look at our articles and pet videos. The best veterinary care for animals is ongoing nutrition and problem prevention. If you want to ask a question call (630)236-8730 or email us and we'll promptly get back to you. Our office is very easy to get to, and you can find directions on our Contact Us page. You can also subscribe to our newsletter which is created especially for our pet owners. In between your veterinary visits, your pet will benefit from you reading these free informative articles. At Eola Point Animal Hospital, we treat your pets like the valued family members they are. "THE VETS AND STAFF AT EOLA POINT ANIMAL HOSPITAL ARE SIMPLY THE BEST. 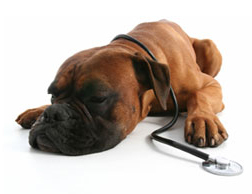 THE VETS AND STAFF ARE HIGHLY EDUCATED, TRAINED AND GO BEYOND THE OBVIOUS AND ANTICIPATE ALL ASPECTS OF CARE NEEDED. NO MATTER HOW BUSY THEY ARE, THEY ALWAYS MAKE TIME FOR QUESTIONS AND ISSUES THAT ARISE. THEY GREET US EACH TIME WITH HUMOR, KINDNESS AND SMILES. OUR DOG ACTUALLY LOVES GOING TO SEE THEM. HE STRAINS AT THE LEASH TO GET IN THE DOOR. TO US, THAT IS THE BEST TESTIMONIAL OF ALL. WE FEEL BLESSED TO HAVE SUCH WONDERFUL, SKILLED, KIND AND KNOWLEDGEABLE VETS AND STAFF TO ASSIST OUR LITTLE MEMBER OF OUR FAMILY."